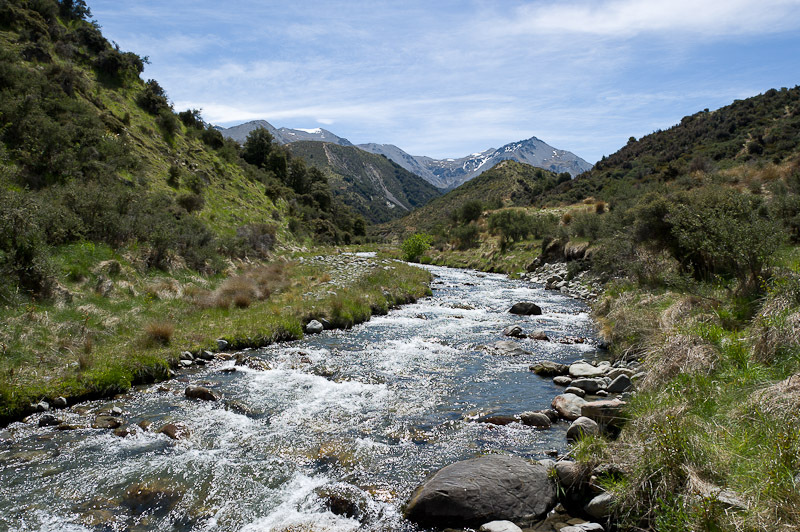 I am on a hunt … for poems about New Zealand rivers. And I am sure there are many others, though I am not sure how to find them, apart from searching through endless anthologies, or asking people much more widely read than I am (hint!). Once I find a few more, I will be interested to see how many of these poems “about rivers” are actually about rivers. And how many simply use rivers simply as a backdrop, or as a metaphor (for life, relationships, etc). Rangitikei River song for example is not really about the Rangitikei River (as far as I can tell), it is about solitude, and “finding yourself” in it. Clutha V is about the Clutha River but it is also about many other things: hydroelectric development; an iconic landscape sacrificed for economic development; tensions between the South Island and the North Island (and its bureaucrats and big business). racing to keep time with the river sound. I would be excited to find a poem that tells the history of a New Zealand river, like River Birmingham does. I have one about the Manawatu called ‘mudlark’ – which was in the Black River exhibition at Te Manawa last year. I can email it to you if you like.